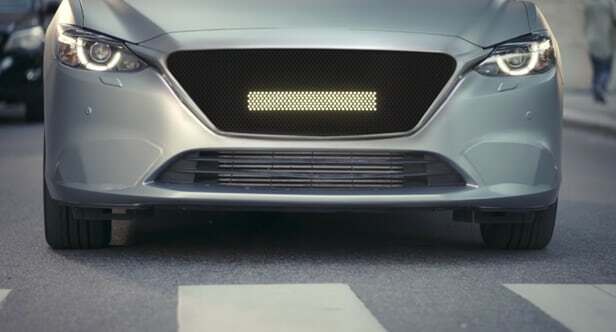 Semcon, a Swedish-based company has developed what they call the “Smiling Car,” a proposed feature for autonomous cars that would use a digital smile to let pedestrians know when it’s safe to cross the rode, even if the driver inside the car is not paying attention. Self-driving cars come with their own set of advantages and disadvantages. One of the major disadvantages and arguments against self-driving cars is that they simply aren’t able to communicate with pedestrians the same way that human drivers can. 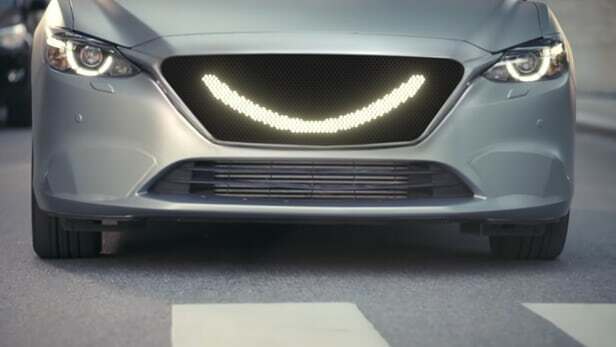 Semcon conducted a survey and found that 8 out of 10 pedestrians will seek out eye contact with the driver before proceeding to cross the road and therefore, the Smiling Car was born. Karin Eklund, head of user experience at Semcon explained, “The strength behind The Smiling Car is that we allow people to communicate in the way they are used to, instead of taking an unnecessary detour via technology.” While the car is in motion, pedestrians will see a horizontal line displayed on the grill on the vehicle and once the car comes to a complete stop, the line will turn into a “smile.” The company describes this type of technology as an “example of product development based on human behavior,” as a smile is one message that is readily understood by anyone.